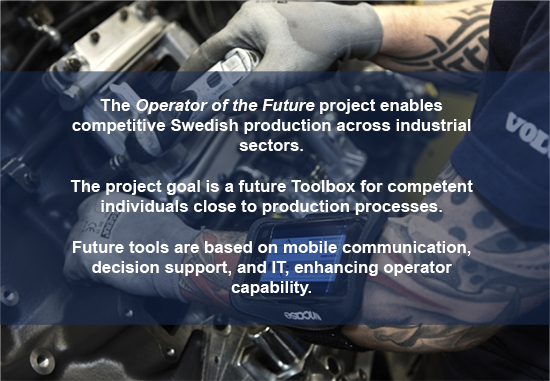 The Operator of the Future project is collaborating with several Swedish industrial partners on mobile industrial connectivity tools for their operators - one of these companies is SKF. In this presentation, CEO Tom Johnstone gives an interesting talk about the impact of new operator tools at SKF in Göteborg. Listen in at 9:27 minutes!